Great Day Press is pleased to announce our Web Special: Order an autographed, inscribed copy of the award-winning book for only $19.50 (regular retail price of $23.50) with FREE SHIPPING (within the United States). 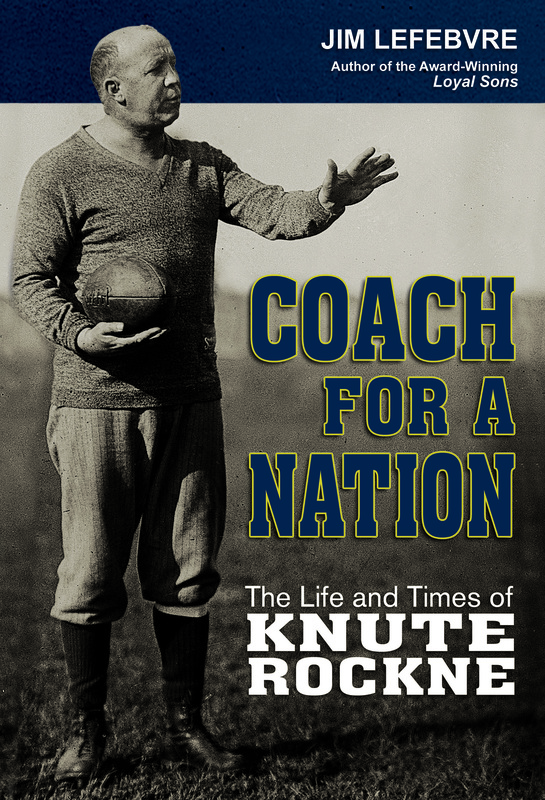 The book also makes an ideal gift for any fan of Notre Dame football, history, or great storytelling. The book can be sent directly to your recipient, if desired. Just let us know. Complete with personalized inscription (added during order) and autograph from author Jim Lefebvre. Look for the “Desired inscription” link on the “Review Your Information” page after payment and shipping information has been entered. To see an example, click here. For gift purchases to ship to a different address, uncheck the box marked “Same as billing address” after entering billing address information. If you would like information on how to place a bulk order, including pricing, please fill out the form below.